Poiana Brasov is the most famous resort for winter sports in Romania and also an important international tourist centre. It has 12 ski slopes, with differing degrees of difficulty (an Olympic slope, slope for three trip and giant slalom, slalom for a particular slope, two trambuline.) Sports (tennis, mini-golf, handball, basketball ), a lake, a cable railway, a skilift, covered pools, saunas, medical gyms, discos, bars and restaurants. Accommodation is provided in good part in hotels or luxury category a, villas and chalets . When leaving the resort Poiana Brasov can be reached at the chalets on Postavarul (1,602 m) and Cristianul Mare (1,704 m), and the fortress of peasant Risnovului (centuries XIV-XVII), located at 14 km distance, can be organised trips to historic monuments and art in the city of Brasov (towers and bastions of the old fortifications of the city (XV century), St. Bartholomew's Church, built in Gothic style mane (XIII century), the Black Church, built in Gothic style, between 1385-1476, shelters now a vast collection of oriental carpete; House Sfatului XIV-XVIII centuries, now a museum; many other houses and churches dating from the centuries XIV-XVIII.). At the massif Postavaru elevation of 1,030 meters find Poiana Brasov one of the most important resorts of Ski Romania and also a resort for rest and treatment season. 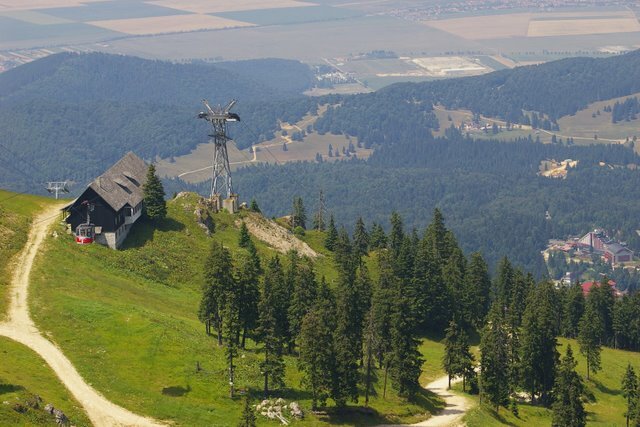 It can be reached easily in Poiana Brasov is very close to Brasov, 13 km, and only 12 km of Rasnov. The offer of accommodation is very rich: from hotels or luxury villas and chalets at hostels. The Poiana Brasov has 12 ski slopes with differing degrees of dificulaltate: Bradul (has an easy level of difficulty and is the only one that can to ski and night), Kanzel (hard difficulty), Ruia (hard difficulty), Subteleferic (hard difficulty) , Lupului (hard difficulty). 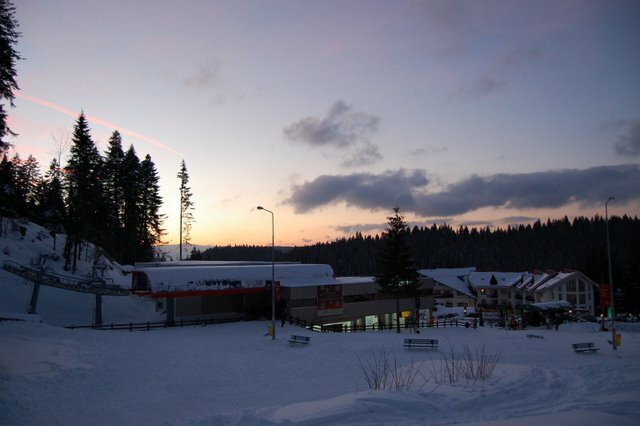 Besides the extraordinary slopes Poiana Brasov May has sports, a lake, a teleferic, gymnastycs halls. Combining luxurious comfort with a fortunate position, this interesting property is enhanced by an abundance of facilities. The dramatic façade offers an appropriate introduction to the hotel which has a powerful local influence connected to the legend of Dracula. Sample a host of delicious dishes in the stylish restaurant and enjoy refreshing drinks in the bright bar. Conduct business in the 4 vibrant meeting rooms and recharge your batteries in the modern spa. Select from the 17 elegant guest rooms and suites and benefit from the many facilities on offer.